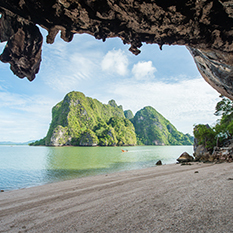 Spend a day on the idyllic Island of Phi Phi Island, made famous by the movie ‘the Beach’. 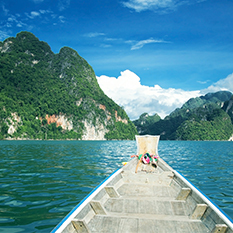 Your journey will begin with an express boat ride on the vibrant blue Thai waters where you will be taken to two Thai Islands, Phi Phi and Phi Phi Lay with beautiful landscapes and a great opportunity to relax and unwind in the sun. 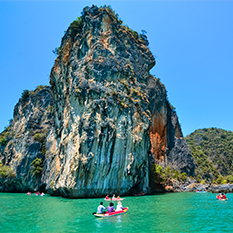 As your speedboat hits shore you’ll be presented by breathtaking rock formations that rise above the vibrant turquoise waters. You will also get to see amazing landscapes of Maya Bay, which was made famous by Leonardo Di Caprio. Enjoy a beachside lunch at the nearby restaurant before heading back to the white powdery beaches to top up your tan. The PhiPhi island excursion lasts around 9 hours and operated all year round. 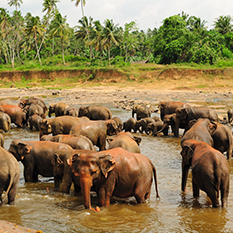 Casual clothing is recommended as well as bringing along your swimsuit, hat, sunscreen, money and a camera.